Another day, another chance to get pips! 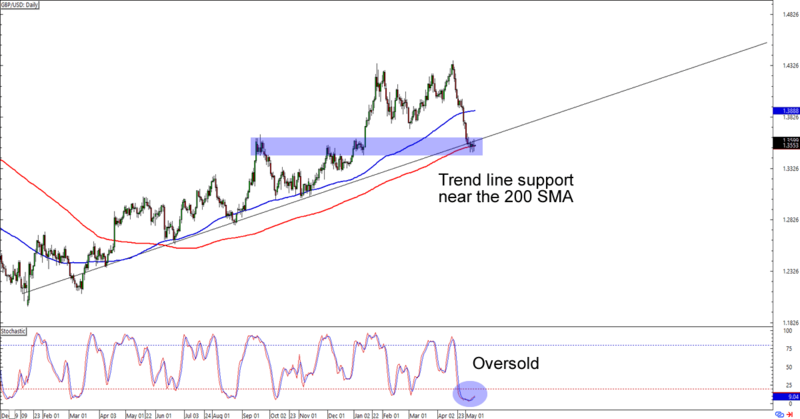 Check out these setups on GBP/USD and EUR/JPY and see if you can take advantage of their technical support levels! First up is a nice and simple uptrend on Cable. As you can see, the pair is lollygagging around the 1.3550 minor psychological handle, which is right smack at a trend line AND the 200 SMA support on the daily time frame. What makes the setup more interesting is an oversold signal from stochastic. Think the pound is about to pop up against the Greenback? Buying at current levels could give you a good reward-to-risk ratio especially if you place your stops just below the trend line and aim for the previous highs near 1.4300. If you’re not sold on the pound’s strength, though, then you could also wait for a downside breakout and aim for the next support levels closer to 1.3000. Whichever bias you choose to trade, make sure you practice good risk management when you execute your orders! Dollar-trading not your thing? Here’s another support play for ya! EUR/JPY’s latest bearish run is stalling around the 129.50 handle, which is right about where the bulls and bears tussled back in March. 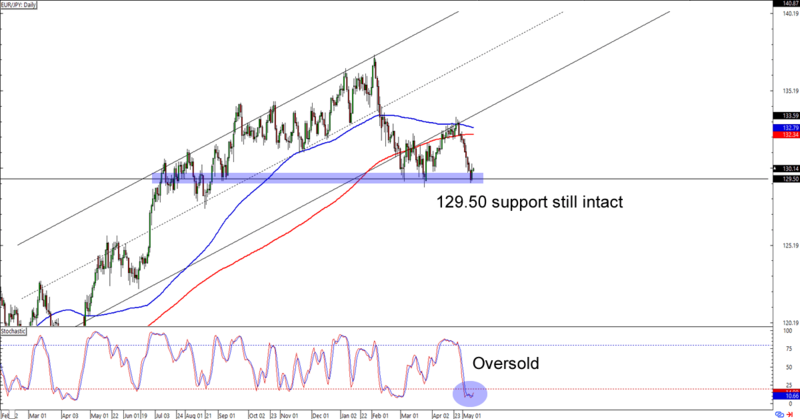 Stochastic is currently flashing an oversold signal, which could attract enough bulls to push the euro back to its 132.50 previous highs. But if the bears win this round and we see a breakout, then we could be looking at a visit back to the 128.50 or even 126.00 previous support areas before we see enough bullish pressure.